Capetonians will be required to abide by the following regulations until further notice. Watering or irrigation with drinking water from municipal supply of gardens, lawns, flower beds and other plants, vegetable gardens, sports fields, parks and other open spaces is allowed only if using a bucket or watering can. No use of hosepipes or automatic sprinkler systems is allowed. Watering times are not restricted, however residents are urged to limit their watering to the mornings and evenings. Golf courses, sports facilities, parks, schools, learning institutions, nurseries, customers involved in agricultural activities, users with historical gardens and customers with special requirements can apply to the Director of the City’s Water and Sanitation Department for exemption to the above. Users with Level 2 exemptions will need to reapply for exemptions on Level 3 restrictions. (facilities/customers making use of boreholes, treated effluent water, spring water or well points are not exempt). All properties where alternative, non-potable water resources are used (e.g. rainwater harvesting, grey water reuse, treated effluent water, spring water, well points and boreholes) must ensure that they display the appropriate signage to this effect clearly visible from a public thoroughfare. All well points and boreholes must be registered with the City and used efficiently to avoid wastage and evaporation. No washing or hosing down of hard surfaced or paved areas with drinking water is allowed (except for health purposes). Users, such as abattoirs, food processing industries, industries using water to prepare for painting or similar treatments, care facilities, animal shelters and other industries or facilities with special needs can apply to the Director of the City’s Water and Sanitation Department for exemption. Ornamental water fountains/water features must be operated only by recycling the water or if using non-potable water. Washing (using potable water) of vehicles and boats is only allowed if using a bucket. Customers are strongly advised to install water efficient parts, fittings and technologies to minimise water use at all taps, showerheads and other plumbing components. Manual topping up of swimming pools is allowed only if the pool is fitted with a pool cover. No automatic top-up systems are allowed. The use of portable play pools is prohibited. Commercial car wash industries must comply with industry best practice norms regarding water usage per car washed. Informal car washes must use only buckets and not hosepipes. The use of fitted pool covers for public swimming pools is strongly encouraged where practically possible. No automatic top-up systems for swimming pools are allowed. Spray parks must be strictly managed to minimise water wastage. Customers must install water efficient parts, fittings and technologies to minimise water use at all taps, showerheads and other plumbing components in public places and adhere to Water By law requirements. Golf courses, sports facilities, parks, schools and learning institutions are not allowed to establish any new landscaping or sports fields, except if irrigated only with non-potable water. As indicated above, appropriate signage, clearly visible from a public thoroughfare, must be displayed at all properties where alternative water sources are used for irrigation. Well points and boreholes should be registered. Residents can visit www.capetown.gov.za/thinkwater for more information, or apply for registration at Borehole.water@capetown.gov.za After registration, residents will receive the necessary sign free of charge. http://resource.capetown.gov.za/documentcentre/Documents/Graphics%20and%20educational%20material/, although other appropriate signage is acceptable. This should be printed A4 landscape (note: this sign should not be used to advise of well point and borehole water use. Well points and boreholes must be registered as detailed above). 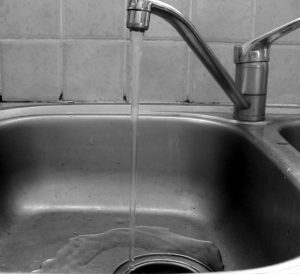 Residents are advised that changes to the bulk water distribution system could intermittently impact on clarity or taste within some areas of the northern and central suburbs of the city. These changes are required to conserve water in the Theewaterskloof Dam. In addition, water pressure will be reduced in the water distribution system in order to limit water leaks from underground pipes and faulty plumbing fittings. 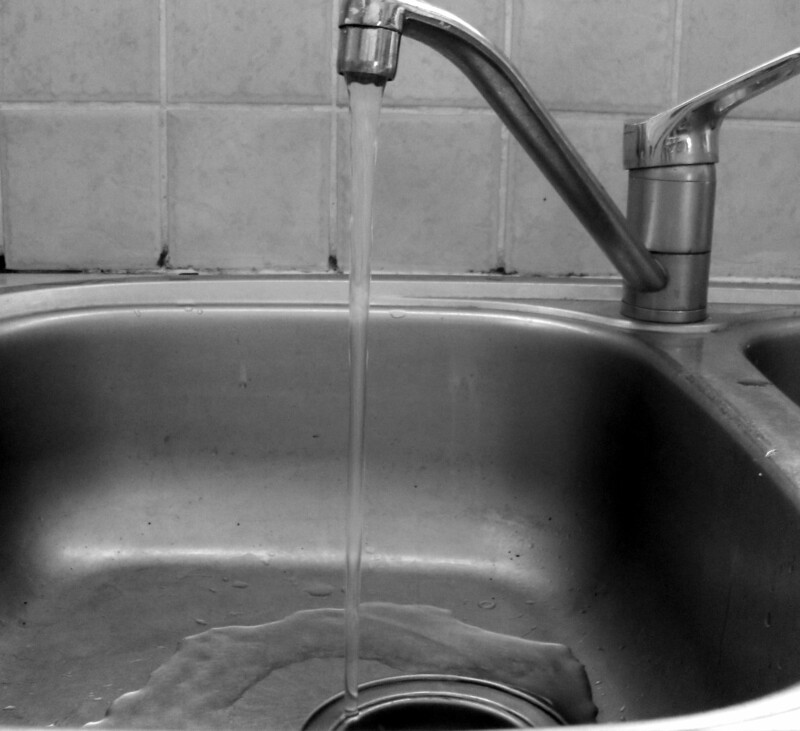 Residents are requested to please exercise patience as taps may flow more slowly. Resultant flow changes in some of the water pipelines may temporarily cause cloudiness or a slight discolouration in the water. Residents with sensitive palates may also notice a slight change in the taste of their water, as it will now be coming from a mix of sources. Water consumers in several parts of the city may also have experienced an earthy taste and odour to their drinking water caused by low levels of Geosmin in dam waters. The City would like to reassure residents that this is a naturally occurring compound and is neither toxic nor harmful to health. Water quality is monitored continuously and all water supplied will be entirely safe for human consumption. Residents and visitors are assured that the City is working proactively to manage available water resources and reduce the effects of Geosmin in the source waters, concentrations of which are anticipated to increase with lower dam levels and hot, windy conditions. The implementation of a corresponding Level 3 tariff schedule will be introduced from 1 December 2016 in order to allow residents time to adjust to the new restrictions.